REGRETTABLE PROGRESS – 3D printing technology has made fantastic advances in the field of science. But it can also have dangerous uses. 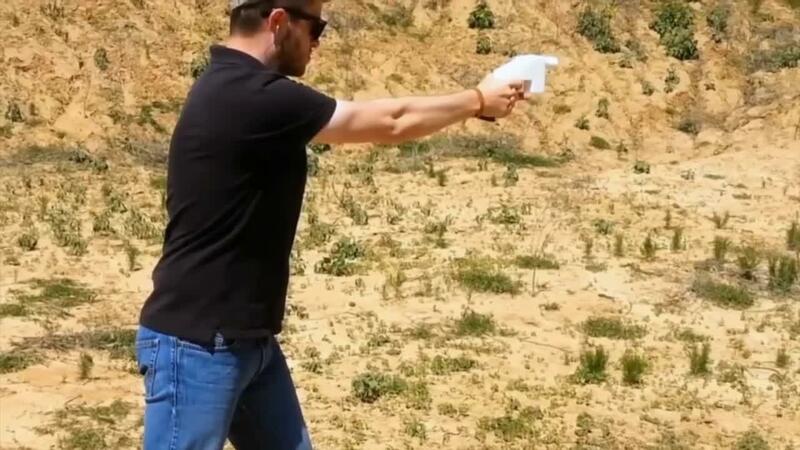 Cody Wilson, an American who defines himself as a defender of crypto-anarchism, has been authorized by the US government to distribute plans for firearms by 3D printer for free. The Americans will be able, from August 1st, to ignore their own system of arms control, legally. Those who are prohibited from buying firearms, and those who want to possess an illegal weapon in their state, will also be able to easily bypass the law. Every inhabitant will be able, since his home and without any restriction, to make a gun "do it yourself" thanks to a simple 3D printer. These weapons are all plastic, but have the capacity and power to shoot live ammunition. After several years of judicial vicissitudes, the Defense Distributed site will be able to legally distribute the 3D printing files of several types of firearms. Among them, AR-15 style rifles, which have been used in several mass shootings like that of Las Vegas or Parkland. These production plans will be free download. No background checks will kill criminals, people with mental illness, domestic abusers or potential terrorists. No serial number will allow the police to trace a weapon used in a crime. And there will be no problem passing the metal detectors, since the gun will be molded from high quality plastic. This site belongs to Cody Wilson, the highly mediaeval Texan pro-arms at the origin of the first guns printed in 3D. In 2015, the former law student sued the government, after the State Department forced him to withdraw weapons-making instructions from his site on the grounds of a violation of the technology export laws. and military. Cody Wilson invoked alternately the second amendment (freedom to own a firearm) and then the first (freedom of expression) but still lost every step of the litigation. Three years later, even though Defense Distributed has exhausted all legal remedies, the US government has strangely agreed to an agreement (the exact terms of which we do not know) that now allow it to put programs online. The Trump administration even agreed to reimburse him about $ 40,000 in legal fees. Cody Wilson hastened to update his site, proudly saying, "The age of the downloadable weapon officially begins" and provoking the anger of anti-arms activists, as mass shootings continue, especially in schools. States that oppose these open arms will ask a federal judge to issue an injunction, prohibiting the dissemination of the files. On Tuesday, July 31, the day before the launch, attorneys general from more than 20 US states had already announced a complaint against the Trump administration to try to prevent downloads.